Those that follow the worldwide merry-go-round of classic motorcycle sales at auction will know that Bonhams sold three Crocker motorcycles last August at Quail Lodge. Seen by many as the finest pre-war American motorcycle it is rare to see a Crocker in the flesh let alone have three in the same auction. All three of these machines ended up in the hands of one buyer and made their way over to Australia. The buyer was a gentleman by the name of Brendon Child from Sydney. The selling price of the Crockers can be easily accessed, suffice to say that Mr Child must be a man of considerable means. He already owned two of the 65 Crockers in existence and his successful truck and agricultural equipment leasing company allowed him to buy the three further ones. 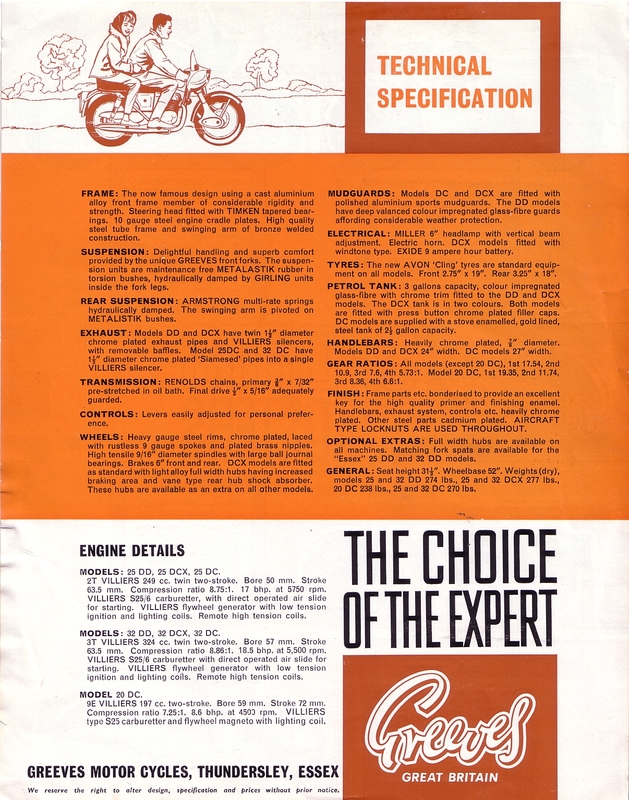 This could be just the story of a slightly over exuberant collector, however the interesting bit is that Brendon Child owns the rights to the Crocker name is Australia and is going into limited production with replicas. in California and now residing in Australia. There has been another attempt to resurrect Crocker from the States, an endeavour that has been ongoing for some twelve years and doesn't seem to yet have a bike to market. The Australian concern has not been going anything like so long and is very much publicity free and under the radar but claims to have four machines under construction and aims to produce twenty five a year for five years. The price? Upwards of $100,000. 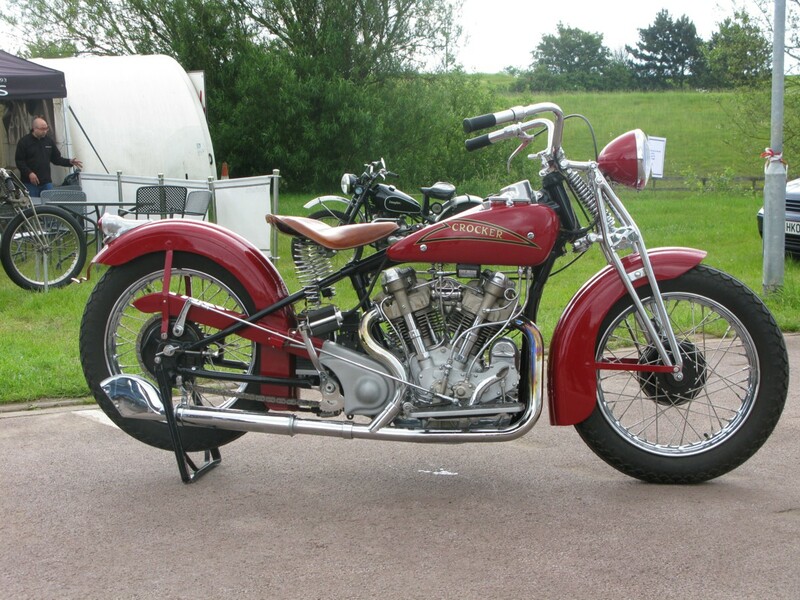 A fair wedge of cash in anyones' book but very reasonable compared to the other replica pre-war glamour bike projects such as the Brough and certainly not excessive given the effort required to build. Apparently the first four are already sold. Let's hope it is a success and we can see more Crockers out and about on the road. 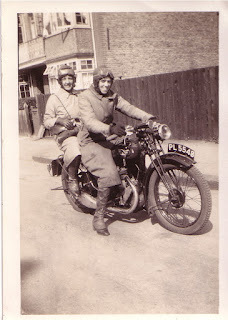 Two ladies out on, what I believe is, a 1931 BSA L31-4. 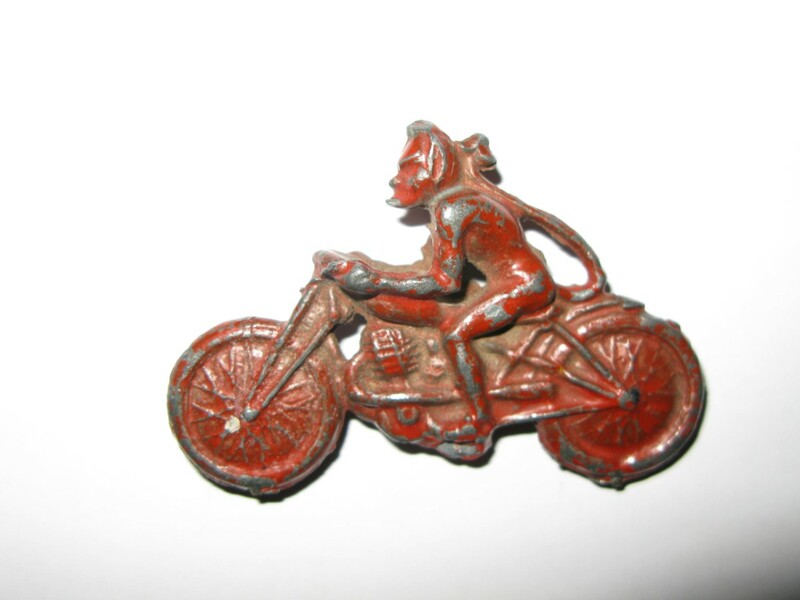 A 350cc sidevalve. 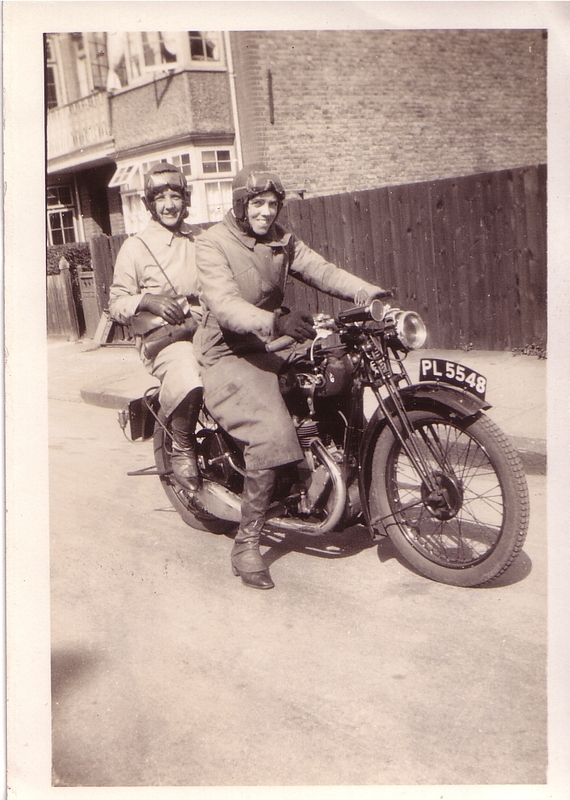 PL 5548 is a Surrey number and the girls are dressed up like they mean business and are regular riders arther than the usual family album chick on a bike pics. 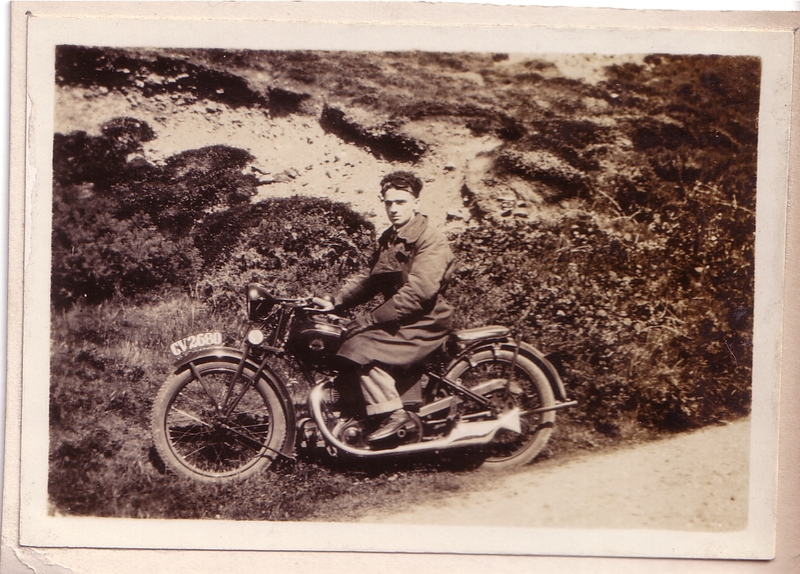 Identification of the bike was aided by Leon's BSA website in Dutch and English. It's got copies of all thirties full range Beesa brochures posted. 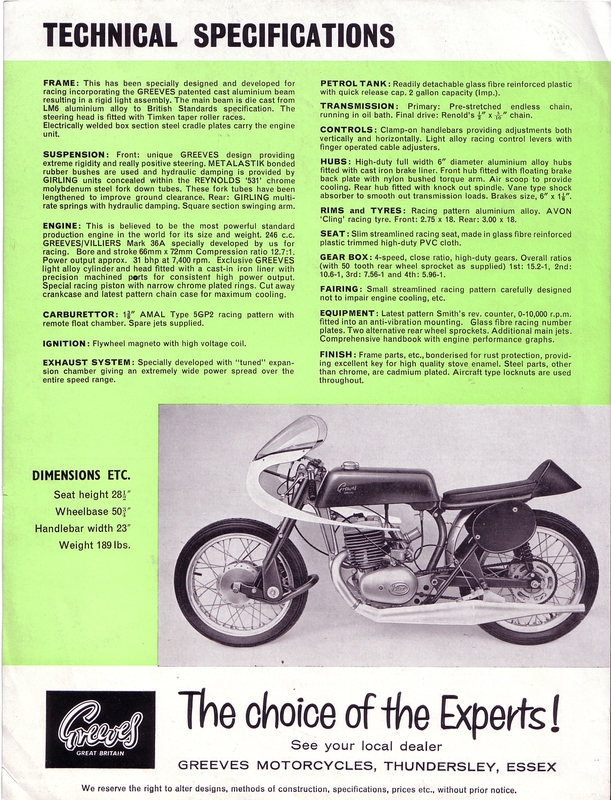 Brochure for the first model Greeves Silverstone clubman racer. 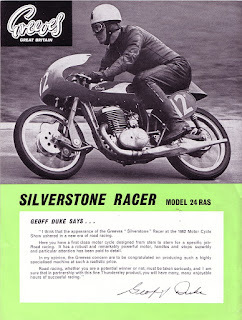 1963 Greeves Silverstone RAS brochure page 1. 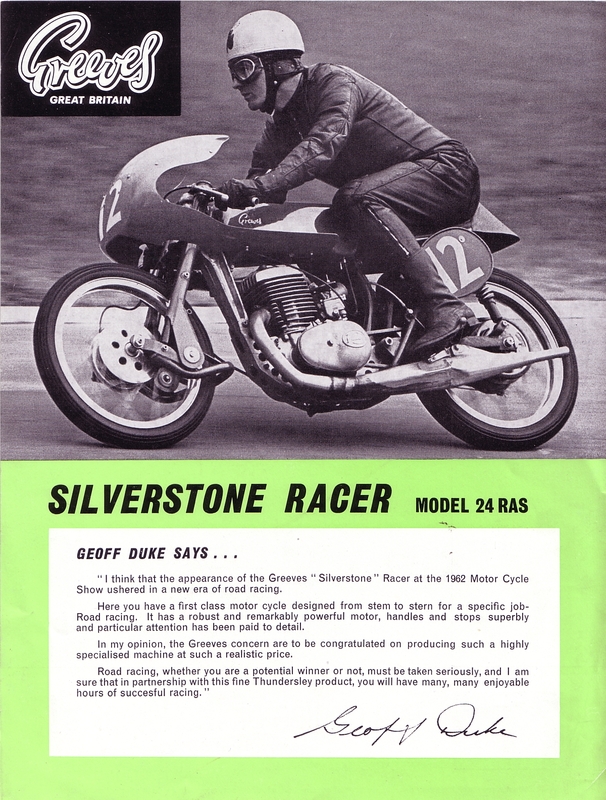 1963 Greeves Silverstone RAS brochure page 2. Another photo of a machine I cannot identify, anyone any idea?. Nice pic though. Looks like late twenties or early thirties. Red Devil riding a moto. Not the finest quality picture but worth showing. 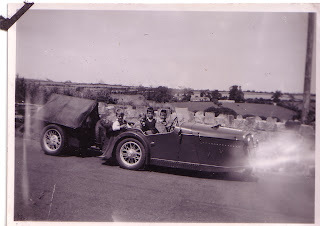 This is how family holidays used to be in the thirties, that is if you were lucky enough to get that much time off and luckier still, you were the proud owner of a Raleigh Safety Seven. The trailer is a nice touch, presumably a necessity if you wanted to go on a camping holiday with a Safety Seven and family. It's a fairly professional looking job. The wheels even seem to match the Raleigh's. I remember living in Earlsfield, South London, fifteen or so years back in a thirties build ex-council maisonette. The couple downstairs had lived in there since the building was new. They let me park my Bantam in their front garden rather than see me leaving it out on the street. 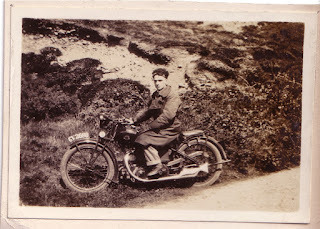 The chap would regale me with tales of family holidays in the fifties with him and his wife plus three children travelling down to Dorset on their Panther combo. The jouney would take them something like nine hours! Easy to forget that motoring from town to town was once an adventure and far from the norm. Raleigh Safety Seven on holiday. 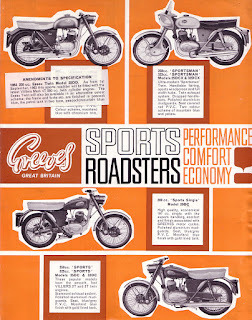 It's in the title, here's the brochure for 1963 Greeves Roadsters. The quirky DCX is in the range. 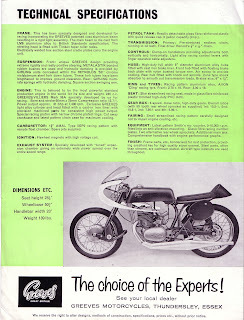 The banana yellow and egshell blue colour scheme is an aquired taste but presumably looked good at the time. 1963 Greeves Roadsters brochure page 1. 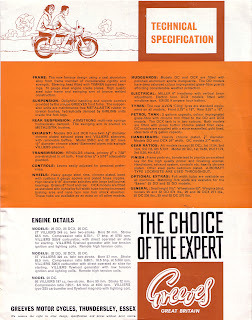 1963 Greeves Roadsters brochure page 2.